Signed for the 2000-01 season by Spartak Subotica. 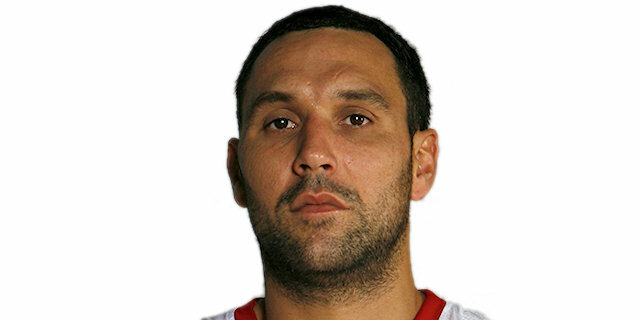 Signed for the 2003-04 season by BC Vojvodina Novi Sad. Signed for the 2004-05 season by BC Partizan Belgrade. Signed for the 2006-07 season by KK Hemofarm Vrsac. Moved to Germany for the 2007-08 season, signed by Brose Baskets Bamberg. Moved to Croatia for the 2012-13 season, signed by Cedevita Zagreb. Won the 2004-05 and 2005-06 Serbia & Montenegro National Championship with BC Partizan Belgrade. Won the 2009-10, 2010-11 and 2011-12 German National Championship with Brose Baskets Bamberg. Won the 2011 and 2012 German National Cup with Brose Baskets Bamberg. Played the 2009 German All Star Game.